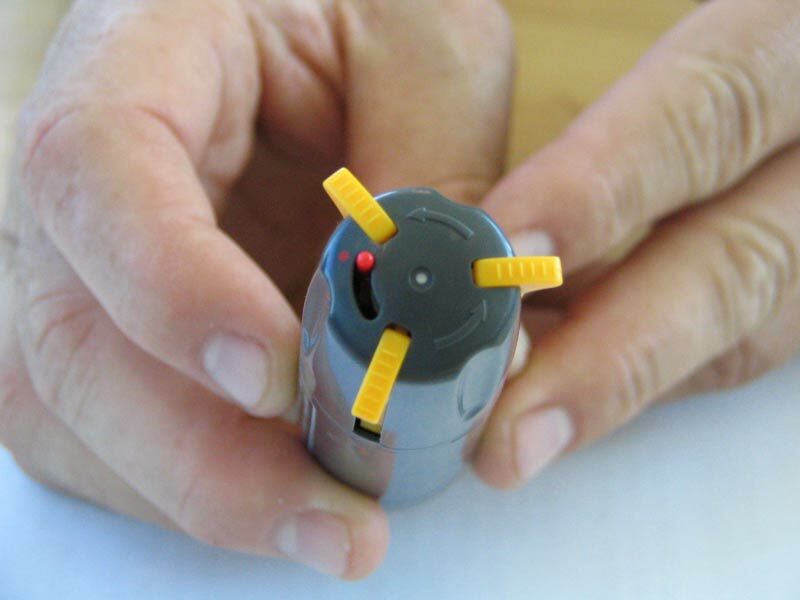 TATP – One of the most elusive explosives used in many deadly terrorist acts of the last few decades can now be identified by a recently developed, simple, and cost-effective pen-like device. Although modern terrorism preceded 9/11, many see it as turning point in what may be considered the greatest threat to world security at the start of 21st century. Though 9/11 was perpetrated without the use of explosives, nearly all terrorist acts since have involved explosive devices of one type or another, and tremendous amounts of funds and research have been dedicated to finding new ways to counter this emerging threat. Chemical explosives have been employed for hundreds of years for a variety of applications ranging from fireworks to mining to various military uses. Chemical explosives are classified as low or high explosives. Low explosives are characterized by a relatively slow deflagration (combustion) speed of up to 400 m/s (meters per second). Examples of low explosives are propellants such as those used to fire artillery projectiles, as well as pipe bombs, gunpowder, most pure petroleum-based bombs such as Molotov cocktails, and fireworks. High explosives have a very fast deflagration rate ranging from 1,000 to 9,000 (and above) m/s. Typical high explosives such as TNT and RDX are very powerful and used for mining and military purposes. High explosives are produced by industrial processes and are usually strictly controlled and monitored. Although some acts of terrorism in recent years were carried out using illegally obtained standard high explosives, the strict control over these substances have led terrorists to develop an ever growing cache of improvised explosives. These terrorist bombs, sometime referred to as improvised explosive devices (IEDs), are relatively simple to produce, easy to use, and essentially as deadly as conventional high explosive-based weapons. Most conventional high explosives contain nitro groups, but some improvised explosives contain no nitrogen at all; rather, they are based on organic peroxides. Most common of these peroxide-based explosive compounds are TATP (triacetone triperoxide; also called peroxyacetone, and TCAP [tri-cyclic acetone peroxide, or tri-cyclo]), DADP (diacetone diperoxide), and HMTD (hexamethylene triperoxide diamine). These explosives can be manufactured cheaply and relatively easily at home from off-the-shelf ingredients but despite their simple nature, peroxide-based explosives are highly lethal. TATP, discovered in 1895 by German scientist, Richard Wolffenstein, is the most common peroxide-based explosive and is 83% as powerful as an equivalent amount of TNT. TATP is, however, extremely sensitive and doesn’t require a detonator to trigger its explosion. (Besides its use as the main explosive, this sensitivity has led to the occasional use of TATP as the trigger to detonate other explosives.) However, because of its instability, it has not been adopted for military or other commercial uses. 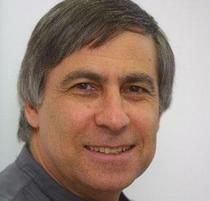 Professor Ehud Keinan from the Department of Chemistry at the Technion – Israel Institute of Technology worked for years on TATP. His laboratory’s research established that the instability of TATP derives from the weak oxygen:oxygen bonds holding the molecule together that are disrupted upon mild heating or shock. In 2005, Keinan and his team published groundbreaking research revealing that, contrary to most conventional nitrogen-containing explosives, which transfer much of their energy into heat (thermal energy) in a fast exothermic reaction, peroxide-based explosives such as TATP and DADP undergo what is known as ‘Entropic Explosion’ in which there is an almost instantaneous decomposition of every solid state TATP molecule into four gas-phase molecules – one ozone and three acetone molecules. It is the accompanying enormous pressure exerted by the gas molecules (four for every one previously solid TATP) and increased entropy (disorder) of the gaseous state over that of the solid state that creates the tremendous explosive force and devastative power, 83% that of TNT and much higher than other “homemade” explosives. The tremendous devastative force of TATP, together with the relative ease of making it, as well as the difficulty in detecting it, made TATP one of the weapons of choice for terrorists since its rediscovery by Palestinian terrorist organizations in the West Bank in the early 1980’s who have since used it to carry out numerous suicide bombings against Israel. Other acts of terror including two London car bombs (for which two Palestinian students were convicted of conspiracy) in July 1994 outside the Israeli embassy and a Jewish Philanthropic Institution, as well as an explosion onboard the December, 1994 Philippines Airlines flight 434 to Japan (on which was Ramzi Yousef was a passenger) were perpetrated using TATP. The infamous radical Islamic “shoe bomber”, linked to al Qaeda, Richard Reid, tried to ignite a TATP fuse hidden in his shoes with a match to trigger a larger explosion. He was eventually subdued by some fellow passengers and cabin crew aboard American Airlines flight 63, but other terrorists have managed to use TATP with deadly results. The July 7th, 2005 London bombings, for instance, were carried out by four radical Islamic terrorists using 4.5 kg (10 lb.) of homemade TATP explosives, killing 52, injuring around 700, and terrorizing a nation (Some suspect the Madrid train bombers in 2004 used TATP, although this is disputed). Most recently, on September 5, 2006, TATP was discovered during the arrest of seven suspected terrorists in Vollsmose, Denmark and the foiled August, 2006 plot to simultaneously down numerous Transatlantic flights originating from Heathrow was allegedly to have involved TATP, to have been mixed on board from liquid precursors. In some cases security forces found a white, sugar-like substance in suspected terrorist hideouts but, since no simple, accurate method exists for identifying TATP (which is highly unstable) in the field, some of these incidents ended with law enforcement casualties. Actually, the instability of TATP, which was the cause of many a “work accident” that maimed or ended the lives of various “engineers” in Islamic militant organizations, is one reason terrorists have dubbed TATP “the Mother of Satan”. Over the years, many methods and technologies for detecting explosives have been perfected. Two main types of devices have been in use in recent years in places such as airports and border crossings. The first type is known as anomaly detectors, which include a variety of scanners that detect suspicious objects inside luggage and on the body. Anomaly detectors are not explosive detectors per se although they are used for this purpose. The reason is that anomaly detectors usually utilize technologies such as measurement of magnetic fields or X-rays that merely indicate an anomaly – a piece of metal or a suspicious-looking object inside a bag – but are generally incapable of identifying the nature of that object and require the operator to do a follow-up check by hand. In recent years, more advanced methods were developed to specifically identify explosives based on nuclear quadrupole resonance (NQR), similar to MRI (magnetic resonance imaging) used in medicine, though substantially smaller and cheaper. 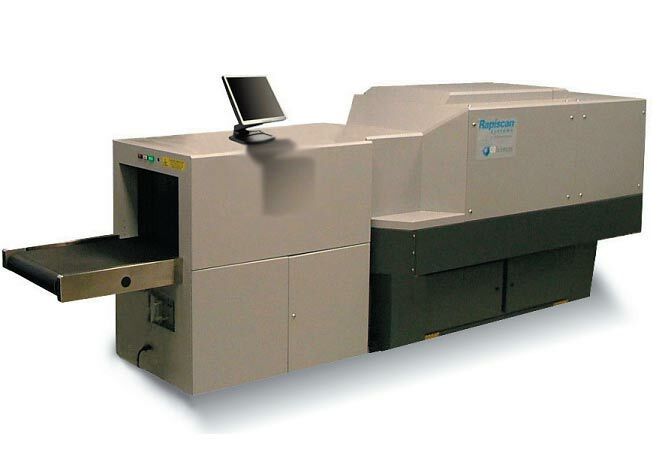 Other devices capable of specific identification of explosives use X-ray-based diffraction (XRD), capable of analyzing hundreds of measurements of the angular scatter patterns of a bag’s contents to detect the presence of substances with the chemical characteristics of known explosive materials. Other older anomaly detector technologies adapted from the medical field, such as X-ray and computer-aided tomography X-ray machines (CT scanners), are utilized to automatically recognize the characteristic signatures of known threat explosives. Besides EDS systems, other methods for detecting explosives are still utilized. One of the most familiar is the use of detection dogs, which have been employed over the years to locate drugs, missing persons, and even human remains. The sensitive noses of canines are estimated to contain between twenty to forty times more receptor cells than humans, enabling them to detect minute traces of materials and even to differentiate explosives from other substances. Despite their high level of success, they require long and expensive training sessions, function only several hours a day, and more importantly, have trouble detecting certain substances. To overcome some of the limitations of detection dogs, artificial “sniffers” were developed. Explosives trace detection (ETD) is based on mass spectrometry, an analytical technique used to identify unknown compounds by measuring the mass of its composite molecules. In ETD systems, a human operator typically collects a sample by rubbing luggage with swabs, which are then chemically analyzed in the ETD device. Neither existing commercial EDS, nor ETD systems, nor even dogs are able to detect with any great accuracy peroxide-based explosives (such as TATP), which lack metal or nitro groups that would make them amenable to detection by standard screening or rapid identification methods. Furthermore, since no electrical charge or wires are required to ignite TATP, the “problem” of setting off metal detectors is avoided. Until now, there has been no simple way to identify TATP whose detection has been heretofore limited to time-consuming biophysical techniques such as IR/Raman spectroscopy and mass spectrometry, coupled with chromatographic methods that must be carried out in a laboratory. TATP, which usually appears as a white crystalline substance resembling sugar, is extremely sensitive to shock, heat, and friction, making it dangerous to handle, emphasizing the need for a simple, cheap, and accurate identification and screening systems. Appreciating a desperate need, Professor Keinan began a research effort to develop a prototype for a simple, disposable, pen-like device that could accurately identify TATP in the field. Following two years of research, he founded ACRO Security Technologies, which is currently about to launch the ACRO-P.E.T. (Peroxide Explosives Tester), based on enzyme-catalyzed oxidation of organic substrates by hydrogen peroxide to produce colored pigments. The ACRO-P.E.T. is a very simple device, a bit larger then a test tube and resembling a 3-ink pen, equipped with a silicone cap to collect a sample of a suspected material and a simple color indicator for the presence of TATP in the inspected sample. ACRO sees a huge potential market for its new device since the ACRO P.E.T. is inexpensive, disposable, and requires no power source to provide on-the-spot identification of peroxide-based explosives. Law enforcement personnel, first intervention units, sappers, and military forces in terrorist-prone regions would all benefit from the ability to rapidly and cheaply identify TATP in the field. Perhaps the biggest market for the P.E.T. is transportation security, including airports, border crossings, ports, and train and bus stations, which are all prime targets for terrorist attacks using TATP. ACRO is already considering the next generation of TATP identification devices that would perform multiple diagnostic tests and function in mass screening of people and items. ACRO has also begun to look into the possibility of adapting its unique technology to stand-off detection of explosives. TFOT recently interviewed ACRO founder, Professor Ehud Keinan, as well as Yami Tarsi, CEO of ACRO, to learn more about the development of the ACRO-P.E.T. and the company, as well as its plans for the future . Q: How did you come to start working on TATP? A: My involvement with TATP and other improvised explosives is a long story that started more than twenty years ago with a midnight telephone call from an old friend, Dr. Kirson of an Israeli security organization, who is no longer with us. These were the early days when TATP was a new threat that presented a tough challenge to all of the Israeli security organizations. Knowing my long experience as both chemist and an officer in the IDF, he asked me to help their effort to meet the challenge and I volunteered to do so. Although my scientific areas of research (biocatalysis, drug discovery, organometallic chemistry, molecular machines, and molecular computing) are pretty remote from anything related to explosives, I decided to help the national war against terror. It is a natural continuation of my many years of military service in a combat unit. The many research projects related to TATP that we carried out in my lab over the past twenty years were classified for obvious reasons. Nevertheless, two years ago I decided to change this approach completely and started to publish our work and to give public lectures and TV interviews on terror using improvised explosives and expose it to the media. Q: Which of your research discoveries led to the development of the ACRO-P.E.T.? A: My main area of research involves catalysis with antibodies and with synthetic enzymes. Since enzymes are the most efficient catalysts on earth in terms of speed, selectivity, and sensitivity, it was clear to me that if we seek efficiency and fast detection of explosives, we should go for an enzyme. We were aware of two facts: first, TATP and other peroxide-based explosives are prepared from hydrogen peroxide, and second, the preparation reaction is reversible, namely, one can decompose these explosives back into their raw materials. We also know that enzymatic detection of hydrogen peroxide is very fast and efficient, simply because hydrogen peroxide is a very toxic material that is produced routinely in our body and must be removed as quickly as possible in order to keep us alive. After we have successfully demonstrated this principle in the lab, the rest was an engineering effort to pack the lab into a small size device that would do the job. We started with a primitive prototype and improved it. The ACRO-P.E.T. is our 4th prototype. Q: Was there a Eureka! moment along the way, either during the research stage or later in the development of the ACRO-P.E.T.? A: There were several Eureka moments throughout this research, although there were many more moments of frustration and disappointment. From that respect, this research was not different from any other research project we have been doing over the years. Yet, the overall result is very pleasing. 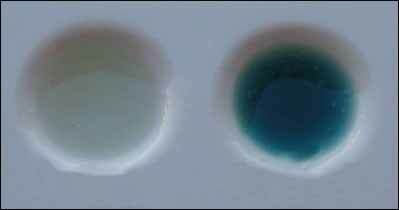 The first Eureka moment was to see for the first time the blue-green color that appeared on the first enzymatic experiment with TATP. 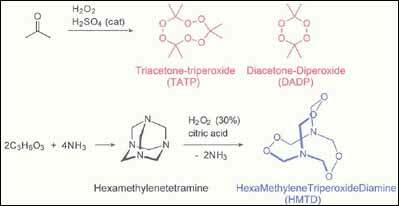 Q: What makes TATP (and other peroxide-based explosives) so dangerous and difficult to detect? A: The area of improvised explosive devices (IEDs) is of great concern to the authorities responsible for the protection of the public against terrorist acts. Some IEDs are based on standard, illegally-obtained explosives, but most of them are made of improvised explosives. In the last few years, their use has become more and more apparent worldwide. Most available EDSs can handle the identification of the standard explosives (TNT, RDX, C4, etc.) fairly reliably, based on their nitrate and nitro content. Detecting, let alone identifying, the improvised explosives that do not contain nitrate and nitro elements is still a very difficult task. Hence, this task is very high on the priority list of the authorities in their search for technologies and systems that can provide a solution to this problem. Q: What is the ACRO-P.E.T. and how does it work? A: The ACRO-P.E.T. provides an immediate answer to whether a suspicious material that has been discovered somewhere, such as in a passenger screening line at an airport or train station, a warehouse, or at an entrance to a building, etc., contains even minute quantities of a peroxide-based explosive. The P.E.T. has a removable cap that is used to collect a sample from the suspected material and a chemical process is then used to identify the explosive. The P.E.T. has been tested with a number of other similar-looking materials and has been found to offer a very high level of selectivity, i.e., will only react to the explosive. Q: What makes your technology better than other identification and detection technologies on the market that claim success against peroxide-based explosives? A: Most EDSs are very expensive. They vary from handheld devices that start at a few tens of thousands of dollars for a unit, through desktop machines that cost in the few hundreds of thousands of dollars, and up to portal systems that run in the high hundreds of thousands of U.S. dollars, and even over a million for the most sophisticated ones. As mentioned before, existing machines still do not identify very accurately peroxide-based explosives. These costs can be justified when one understands the technologies that they use. Our technology is based on the chemical identification of the components that make up these explosives in a simple-to-use, proprietary enzymatic process. Our technology, as opposed to the systems mentioned above, does not require any continuous maintenance or periodic calibration, which automatically means very high life cycle costs associated with the other systems. Our technology has a low identification threshold level and a high selectivity level. The unit is simple to operate and disposable. When disposed, it is totally “green” and does not require any special waste storage facility besides basic security requirements to be decided upon by the users themselves. Q: What is the potential market for the ACRO-P.E.T. and how will it be used? A: The ACRO P.E.T. provides an immediate solution to any homeland security, civilian, and military authorities or organization responsible for securing indoor and outdoor facilities. We have no doubt that the ACRO-P.E.T. would provide the above-mentioned authorities with a simple-to-use, disposable, reliable, accurate, and inexpensive solution, and may even provide them with additional tactical solutions to problems that they have difficulties in dealing with at present. Q: How much will the ACRO-P.E.T. cost? 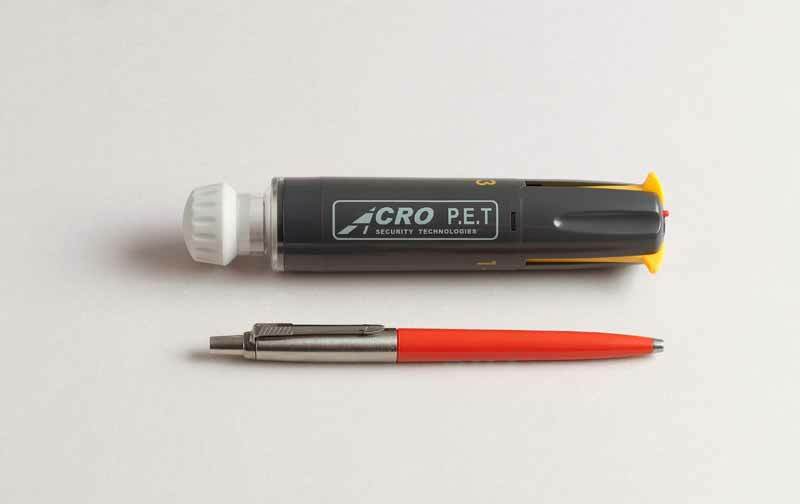 A: The ACRO-P.E.T. will be available for a few tens of dollars per unit. Q: When was ACRO founded, what does it do, and what are its plans for the future? A: ACRO was founded in its current format in the 1st quarter of 2006. ACRO is a young company whose mission is to provide inexpensive, simple-to-operate, and reliable solutions for anti-terror and law enforcement authorities in their never-ending battle against terror. ACRO has established itself as a supplier of a unique solution to the identification of peroxide-based improvised explosives. The company is based on technology developed by Professor Ehud Keinan, a renowned international expert in the field of improvised explosives, amongst many other fields of research. 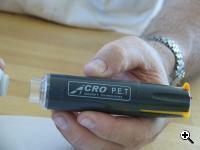 This technology has allowed ACRO to bring to the market our first product, the ACRO-P.E.T. Adaptation of this technology is far from exhausted and we are already defining its application in other complimentary markets, including the detection market segment. In the near future, we intend to share these thoughts with the leading potential users and define the products that we intend to develop.